Centuries-old manuscripts detailing the history of Great Britain tell the story of a warrior king who was crowned ruler of Glamorgan, a region in Southeastern Wales near present-day Cardiff. 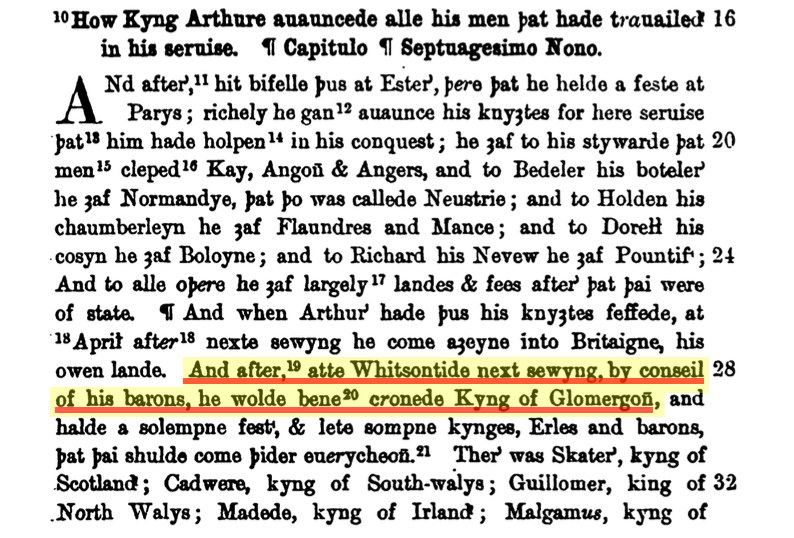 Historians hesitate to admit whether King Arthur II actually existed, but most would scoff at the notion that he not only lived, but that he was really from Wales. However, one of the most comprehensive histories of early Britain, written by the scribes of the day and finally curated about a century ago, explain precisely the quests and victories of King Arthur and his roundtable knights. “The Brut or The Chronicles of England: Part I” was compiled and annotated in 1906 by Friedrich W.D. Brie, Ph.D., for the Early English Text Society. It tells us that King Arthur was a king of Briton. It also tells us that he was a Welsh king – not English like so many scholars of British history believe. Dr. Brie culled from dozens of source manuscripts to compile the lengthy tome of more than 600 pages embracing the period from the arrival of Albyne, circa 1560 B.C., and Brutus, circa 504 B.C., to about 1480 A.D. Although there is some speculation about the accuracy of “The Brut,” scholars say it was the second-most copied text in 14th century Britain, second only to the Wycliffe Bible. “The Brut” does not offer an account of Arthur’s death, only that he handed over his kingdom when he felt that he was no longer able to rule. There is evidence that King Arthur met his demise during a journey to America following a comet’s crossing over Briton and wreaking havoc in South America. We are pleased to announce that researchers in Britain who work closely with The Welsh Cultural Endeavor of Northeastern Pennsylvania have received high honors from a king whose own journey and plight to be recognized reflects their own. Alan Wilson of Wales and Englishman Baram Blackett will be knighted, effective, June 29, 2016, by King Kigeli V of Rwanda. The date coincides with the king’s 80th birthday. Wilson and Blackett have been at the forefront of research into the true history of Wales and Britain despite criticism from their peers and academics, and now they are being honored for it. For nearly four years, The Welsh Cultural Endeavor has been working to preserve and propagate a lifetime’s worth of research painstakingly gathered by Wilson and Blackett. In the rolling hills of Wales, the two have uncovered an ancient language, undeniable evidence of the first-century Christian church in Wales and proof that the famed King Arthur II, whose name and feats have been fictionalized and fantasized for centuries, was a warm-blooded Welshman who once traveled to America and died at the hands of attacking Native Americans in the sixth century. 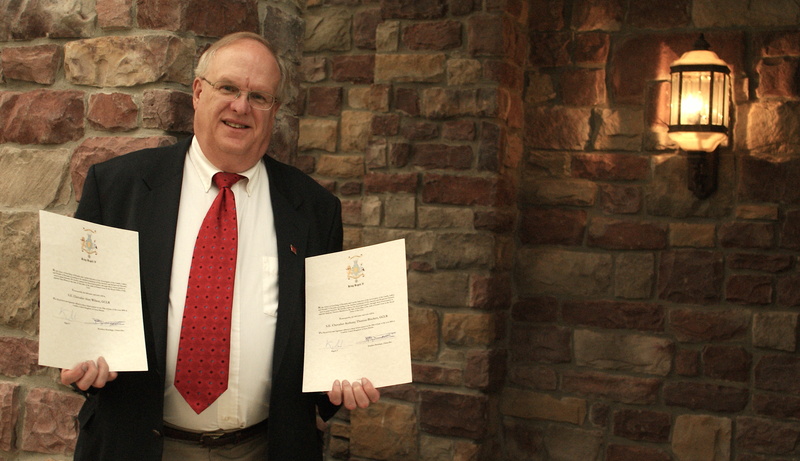 George Horwatt, President of The Welsh Cultural Endeavor of Northeastern Pennsylvania, holds proclamations signed by King Kigeli V of Rwanda to knight Welsh Researchers Alan Wilson and Baram Blackett. King Kigeli V recognizes the efforts of Wilson and Blackett and reflected this in a proclamation. He commended the two for their meticulous forensic investigations, which were often completed at great personal cost. King Kigeli V has conveyed to them the Grand Cross of the Royal Order of the Lion of Rwanda. George C. Horwatt, founder and President of The Welsh Cultural Endeavor, has been named the king’s emissary to Wilson and Blackett and has worked tirelessly to coordinate their knighting. Wilson and Blackett join the ranks of African leaders to be knighted by the Rwandan king, most notably the late South African President Nelson Mandela. 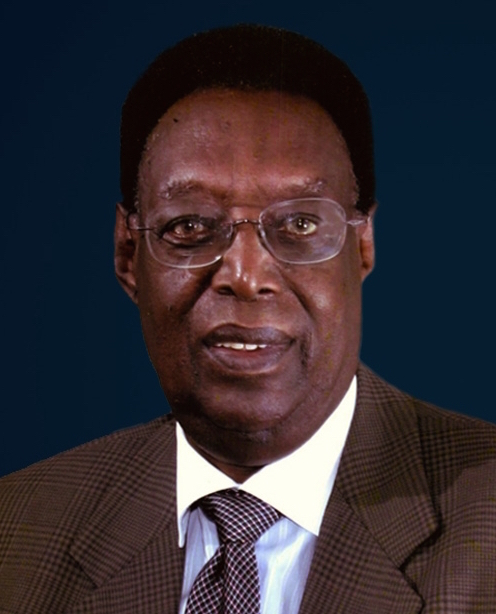 Since being granted political asylum in the U.S. in 1992, King Kigeli V, who has a United Nations resolution from the 1960s calling for his return to the throne, has lived a modest life outside of Washington, D.C., and he remains devoted to serving Rwandans throughout the diaspora resulting from the tribal tensions in the 1990s. Much like the Rwandan king, Wilson and Blackett have long been denied legitimacy in Wales. As an organization committed to preserving Welsh heritage and culture in the United States, we see the truth in their findings and feel obligated to help protect the knowledge they have gathered. As an organization committed to preserving Welsh heritage and culture in the United States, we see the truth in their findings and feel obligated to help protect the knowledge they have gathered. “In recognition of original research, often at great personal cost, demonstrating 40 years of meticulous forensic investigations into the beginnings of ancient Britain and that the famed King Arthur was two historical individuals, His Majesty King Kigeli V of Rwanda, the last king to reign in Rwanda, has awarded the Grand Cross of the Royal Order of the Lion of Rwanda to Alan Wilson and Anthony Thomas (Baram) Blackett. 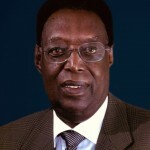 Other notable historical awardees of the same Order are Sir Conrad Swan, Garter Principal King of Arms; Sir James Carlisle, Governor General of Antigua and Barbuda; His Majesty King Mwambutsa IV of Burundi; His Majesty Sir Edward Mutesa, King of Buganda; His Majesty King Hussein of Jordan; His Excellency Nelson Mandela, President of South Africa; His Imperial Majesty Emperor Haile Selassie of Ethiopia; and other awardees.” ~ Statement from His Majesty’s Private Secretary regarding the knighthoods for Alan Wilson and Baram Blackett. Our co-founder, Bill Nash, Ph.D., spent his 30-year-plus career instilling the love of music in his students as chairman of the music department for the Quakertown Community School District and as music director for several churches near his home in Southeastern Pennsylvania. His influence upon his students was infectious. There are numerous accounts of many who went on to professional music careers. They will never forget him either. Sadly, Bill passed away Easter Sunday, March 27, 2016, after battling a number of illnesses for many years. Bill never complained and kept going despite his afflictions. Dr. Nash was a member of the Pennsylvania Music Educators Association and served as the organization’s District 11 chairman from 1993 to 2001. Many don’t realize that the PMEA is the core that gives public school students a chance to compete with their schools in district, regional and state competition levels for band and chorus. Unfortunately, not all school districts participate in these worthy projects. We know for a fact from many stories that Bill was always willing to help students on a personal level to develop their musical ability and achieve their success. He never said no to anyone. He served as vice president of The Welsh Cultural Endeavor of Northeastern Pennsylvania from the beginning, and he played an integral part in our advancement and achievement. He also contributed to the Welsh music community in his birthplace of Northeastern Pennsylvania. The Welsh are world-renowned for their contributions to music and the singing word, for what our culture is most recognized. 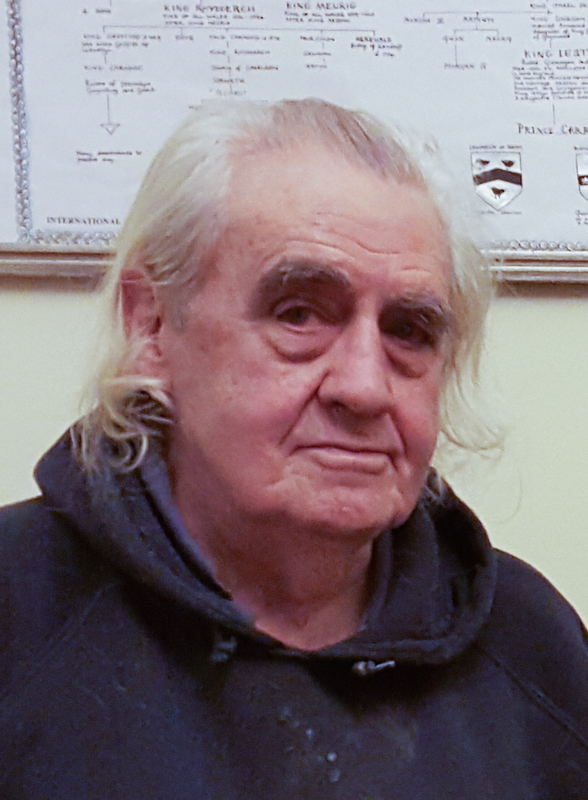 The Welsh Cultural Endeavor of Northeastern Pennsylvania is pleased to announce the creation of a scholarship fund in honor and memory of our dear friend for whom, without his passion, this organization would not exist. The new Dr. William L. Nash III Scholarship Fund for Music Study will provide financial support each year to a bright young student of music. As many of you may know, Bill’s biggest passion was teaching and performing at the organ and with many award-winning choirs – something that mirrored his training at Westminster Choir College in Princeton, New Jersey. At this time, we are honored to be part of his living legacy in supporting young men and women who will carry on his fervor and commitment to this type of music expansion. We encourage you to participate with us. Please consider making a substantial donation to this fantastic scholarship fund. Bill would be well pleased. You, too, will be recognized accordingly for your commitment in joining with us. As an IRS sanctioned 501 (c) (3) non-profit, public charity, we can make this cause mutually beneficial and easy for you in that your financial support is tax-deductible. It was pure destiny and a cosmic event that Prince Madoc – brother of legendary King Arthur II, both sons of Welsh King Meurig – to wander the Atlantic Ocean for a decade leaving Wales A.D. 562 for the first time. The head of the British naval fleet, Prince Madoc, became disoriented as what historians believe was a comet or other astronomical object slammed into earth near Britain with the force of 100 nuclear bombs, Arthur historian, Lee Pennington, Ph.D., explained. Lee Pennington, Ph.D., speaks during a presentation on King Arthur’s journey to America March 26 at the Irem Temple Country Club, Dallas. The naval commander, wandering the Atlantic circa sixth century, by chance came across what he described as a lush, green land. When he finally returned to Wales and his brother, King Arthur of round table fame, 10 years after getting lost, he excitedly recounted his discovery of America. Dr. Pennington brought these histories, long-criticized by skeptics, to life when he spoke March 26, 2016, at the Irem Temple Country Club. His talk, and an accompanying buffet lunch, were sponsored by The Welsh Cultural Endeavor of Northeastern Pennsylvania. Whether King Arthur traveled to America 900 years before Christopher Columbus or whether he existed at all, is the source of great controversy. And as one of the world’s leading experts on King Arthur’s life and journeys, Dr. Pennington is no stranger to criticism for his findings. Dr. Pennington disavowed the notion that a non-existent, unrecorded Madoc who is an invented son of Prince Owen Gwynedd arrives here around A.D. 1175. King Arthur traveled to what is now the United States, and he died here, Dr. Pennington said. 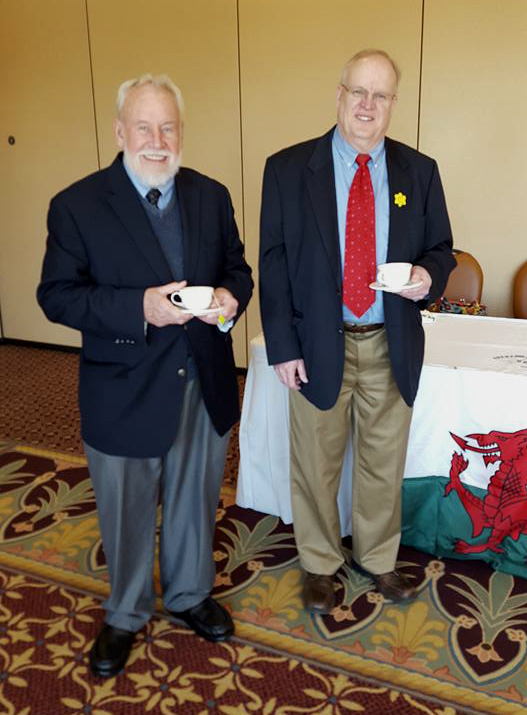 Dr. Lee Pennington, left, and The Welsh Cultural Endeavor of Northeastern Pennsylvania President George Horwatt pose for a photo during an event March 26 at the Irem Temple Country Club, Dallas. 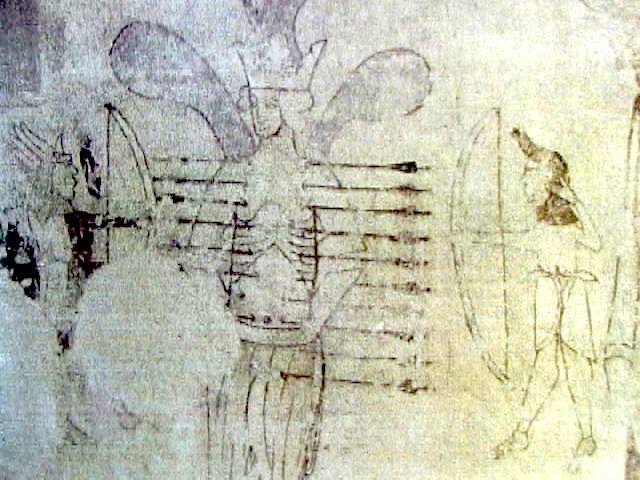 He showed images of ancient murals that depict native Indians attacking a king, whose arms are spread-eagle, with arrows. Historical documents reveal King Arthur was mummified, wrapped in deer skin and returned to Wales where he lays to this day. Widely accepted translations of “The Stanzas of the Grave,” an ancient poem describing the burial places of British kings, say Arthur’s grave is “concealed forever.” However, Dr. Pennington argues the translation distorts the original manuscript, and King Arthur’s grave, to the exact spot, is described in the texts. Dr. Pennington’s collaborating experts, Alan Wilson and Baram Blackett in England, offer that at least 10 clear records combine to tell of his body being returned to Wales following a great funeral. “It actually says the grave of Arthur is in a high, windy place,” Dr. Pennington said, going on to explain the name of the field is Mynydd y Gaer meaning fortress mountain, which is long in range. Dr. Pennington spoke and answered questions for nearly four hours before an engaged and enthusiastic audience on the true history of Welsh King Arthur as well as efforts by other historians to stamp it out. A good number of those attending were not actually Welsh, but followed their curiosity and keen interest in the history of King Arthur. 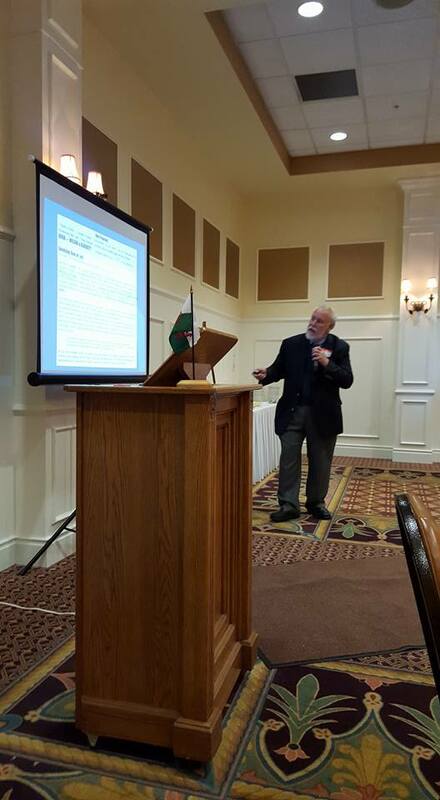 Dr. Pennington’s presentation is part of a greater effort by The Welsh Cultural Endeavor to introduce our region, which is well-stocked with Welsh descendants, to this, our exciting history, in hopes that we might preserve it and pass it on for generations to come. Keep watch for more important events and programs to be announced by The Welsh Cultural Endeavor. This mural depicts the death of King Arthur II in Kentucky, AD 579. Dr. Pennington shared images of the mural during his presentation, and they clearly depict a king being attacked by Indians. The mural was discovered in the 1970s beneath whitewash on the walls of Stoke Dry Church in England. It is with a heavy heart that we share sad news – Dr. William Nash III, our dear friend, passed away on Sunday, March 27. He was 69. Dr. Nash, a Pottstown resident, was the former president of the St. David’s Society of the Wyoming Valley and, until his passing, served as vice president of our organization, The Welsh Cultural Endeavor of Northeastern Pennsylvania. Without his efforts, this organization would have never survived. His obituary, which appeared in the Pottstown newspaper, The Mercury, appears below. The Welsh Cultural Endeavor extends its deepest condolences to Mr. Nash’s loved ones in their time of loss. He was a Welshman of the finest stock, and we were proud to have called him a friend and a Cymbro. Contributions from his Welsh friends may be made to the Dr. William L. Nash III Scholarship Fund for Music Study c/o The Welsh Cultural Endeavor of Northeastern Pennsylvania on our Donate page via PayPal or mailed to 10 Skyview Dr., Dallas, PA 18612. Dr. William L. Nash III, 69, of Pottstown, husband of Janet N. (Nossal) Nash, passed away on Sunday, March 27, 2016 at Pottstown Memorial Medical Center. Born in Kingston, PA, he was a son of the late Raymond S. Nash and the late Margaret (Zimmerman) Nash. Bill was a music educator for Quakertown Community School District for thirty years retiring in 1998. He also was the music director at St. John’s Lutheran Church, Boyertown for 18 years, Emmanuel Lutheran Church, Pottstown for 22 years, and Parkside United Church of Christ for one year. He was a member of Emmanuel Lutheran Church, Pottstown, Stichter Masonic Lodge #254, Pottstown, American Guild of Organists, The Antique & Classic Boat Society, and PA Music Educators’ Association. Surviving, besides his wife, are a son, William J. Nash, Pottstown, and a daughter, Adrienne Nash Melendez wife of Carlos, Coatesville. A memorial service was held at 11 a.m. on Friday, April 1, from Emmanuel Lutheran Church, Hanover & Walnut Streets, Pottstown. Officiating will be Reverend Phillip Waselik. Burial was in Highland Memorial Park. 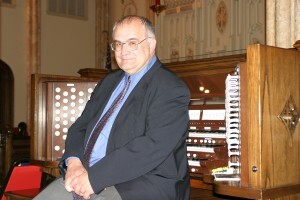 Contributions may be made in his memory to Emmanuel Lutheran Church “Organ Fund”, 150 N. Hanover St., Pottstown, PA 19464. Arrangements were by the Schumacher & Benner Funeral Home & Crematory, at 359 King St. in Pottstown, PA. Our web site exists to serve the friends and family of the deceased. Go to www.schumacherandbenner.com to extend sympathies and access additional service details.